First of his name - Microsoft Lumia 535, leaked! You are here: GeekSays Technology News » Microsoft » First of his name – Microsoft Lumia 535, leaked! First of his name – Microsoft Lumia 535, leaked! Last week, we saw a first image with what was supposed to be the first Microsoft branded smartphone, after they decided to ditch the ‘Nokia’ brand, meaning that soon enough we will be able to buy Microsoft phones. Apparently, this “soon enough” is closer than we initially thought, as this weekend, a full image with the dummy unit of the Microsoft Lumia 535, as it will be called, was also leaked! According to WMPowerUser, the phone will be revealed on November 11th, during an event called #MoreLumia. The Microsoft Lumia 535 will have a 5″ display, while under the hood a Snapdragon 200 chip will be hidden, with a 1.2 Ghz quad-core CPU and 1 GB of RAM, while the internal storage will count only 8 GB of space. The camera department will be represented by a 5 MP rear snapper and last but not least, a 1900 mAh battery will power the first Microsoft Lumia phone. As you can see, Microsoft doesn’t like taking risks, so they’re actually trying the market with an entry-level device, waiting to see how it will be received. If you ask us, this device will have the same fate as the previous Nokia devices, as another brand on the back cover doesn’t change much. 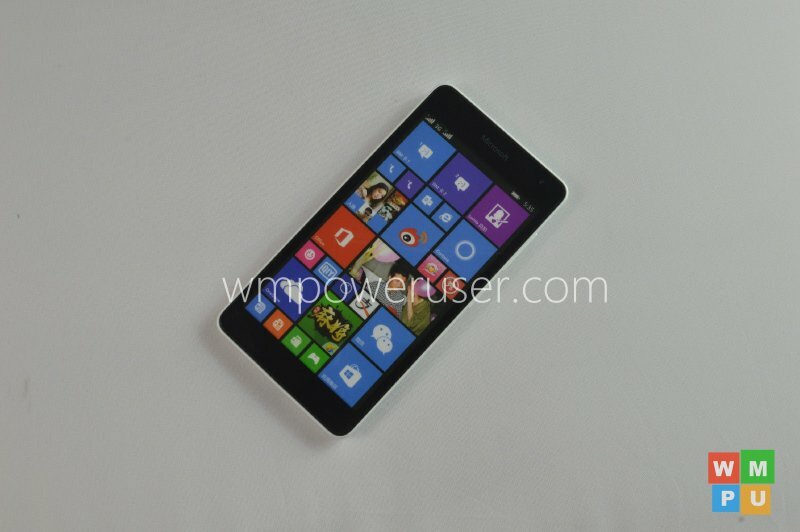 Would you buy this Microsoft Lumia 535?